To run a Business, you need to have a plan that you will follow so as to make your business successful. It is very important that any money you have or hope to generate in the Business Budget Template be allocated its specific task. You should know what to do with the money before you even have it. Budget Templates are the key to success for any Business. Planning in advance protects your business from any emergent issues. The business managers use accounting methods to measure and report their financial positions, budgeting is an important accounting tool. 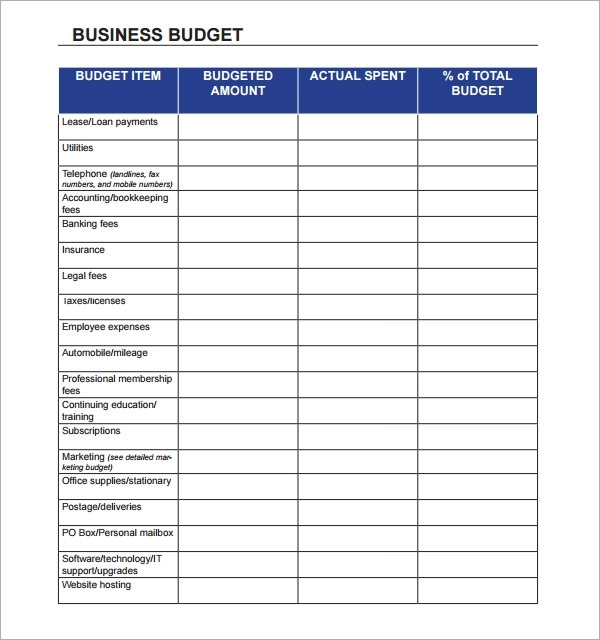 This free Business Budget worksheet template can be used by businesses to keep a track on their monthly budget. It’s a comprehensive template representing income, expenditure, percentage of income utilized, summary and the balance. The balance can be shown in a graphical form using this free template. 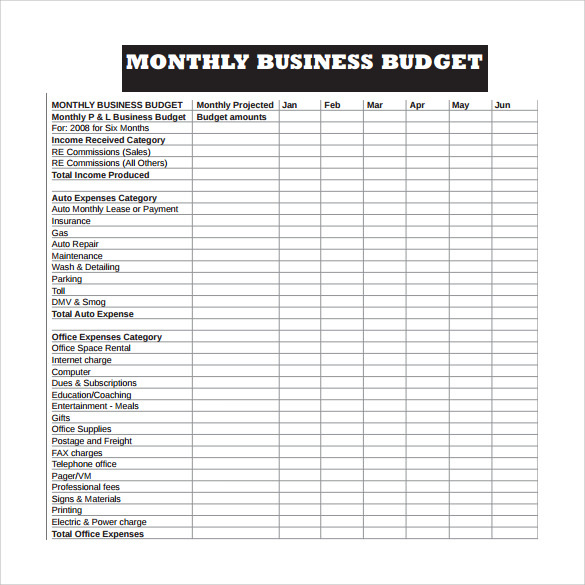 A monthly business budget template is a useful tract for a Company’s monthly Budget plans. 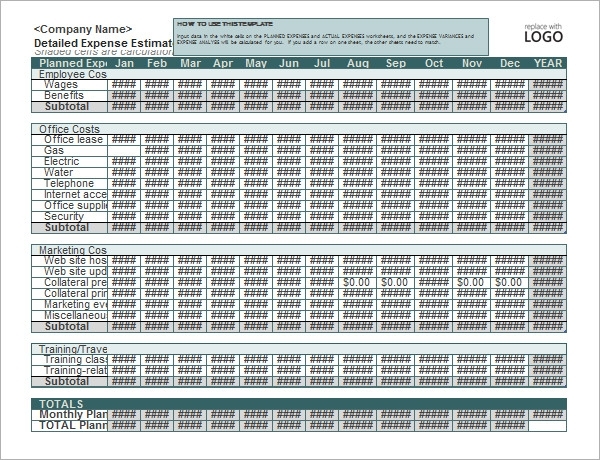 The organization can use the template to showcase estimated as well as actual expenses for that particular month. The information can be presented using this template in both tabular as well as graphical form. 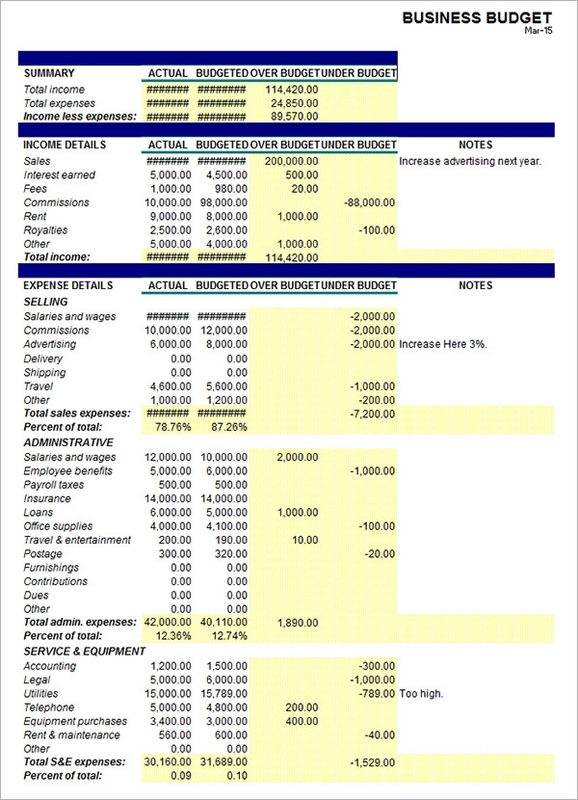 A Business Budget Planning Template is a useful template for small, medium and large businesses. The template can be used to present all the expense related data in a perceptible tabular format. Through the template businesses can add expenditure and income item-wise. Certain basic items of expense are already mentioned like wages, rent, interest, etc. 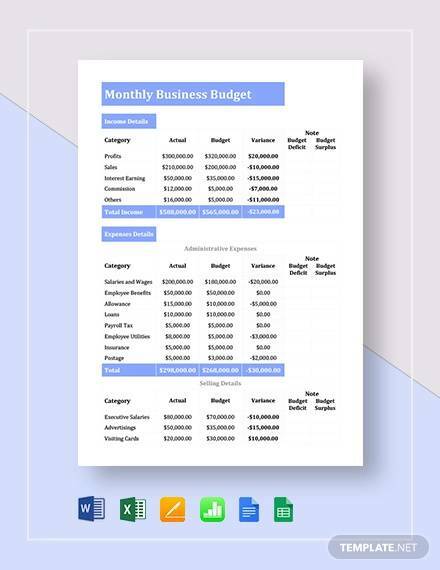 A business budget spreadsheet is a spreadsheet template that can be used by various businesses to have a printed record of their budget’s each item. It showcases budgeted amount, actual amount spent and the percentage of total budget. The template is available in PDF format. Why do we need Business Budget Templates? Large scale business professionals prefer to keep a record of their business’ expenditure and income. This helps them in managing the functioning of their businesses. Business Budget Templates are the readymade solution for such businesses. They are useful in recording, analyzing and finally interpreting the revenue of company in a perceptible format. The data can be represented using various template formats according to the business’ necessity in graphical, diagrammatic and tabular formats. The business enterprises can use these readymade templates for future reference also. 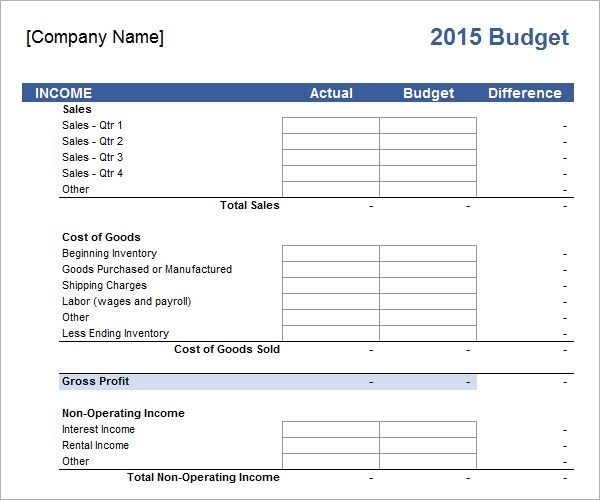 You may like Grant Budget Templates. 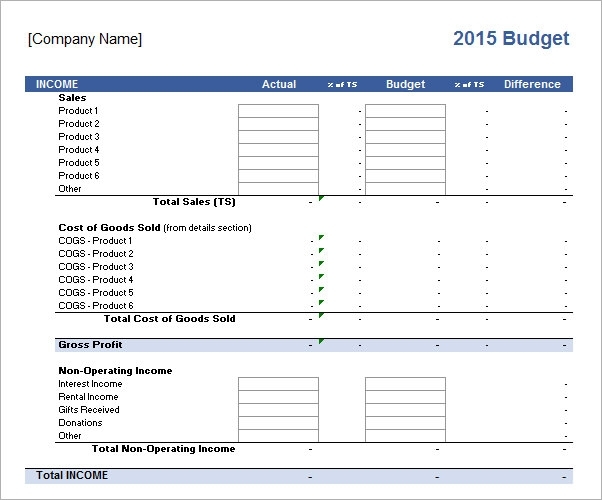 When do we need Business Budget Templates? 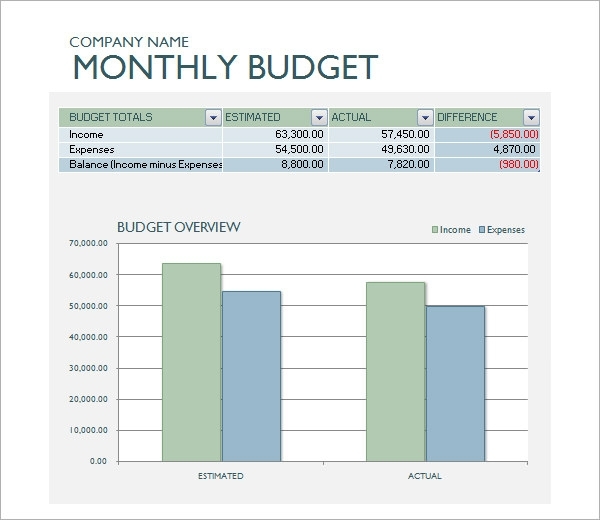 Business Budget templates are useful templates for all scales of businesses whether they are small scale or large scale. The templates are used each month for storing each month’s prospective revenue and expenditure figure and the month’s actual revenue and expenditure figure. 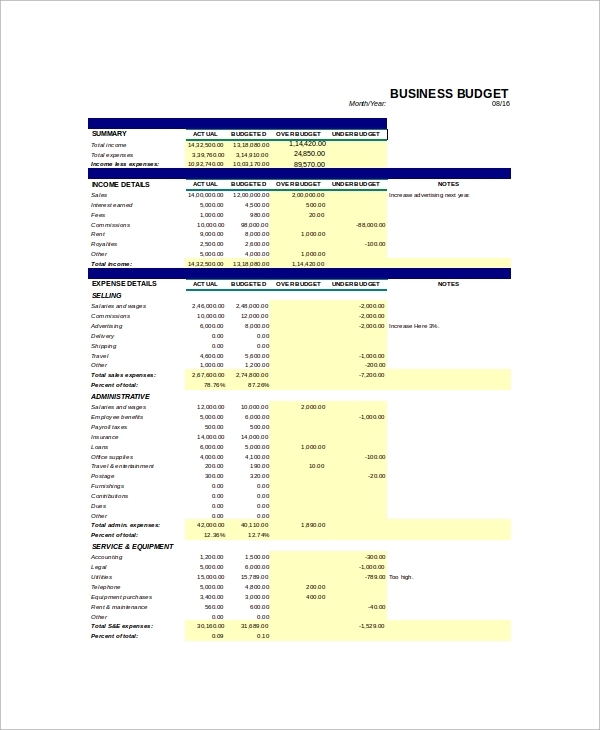 Apart from this primary purpose these Business Budget Templates are ready reference for use in future. For having a record of the business’ data, Business Budget templates are necessary. These templates are useful in recording and interpreting the data related to the business’ revenue collection and revenue usage. 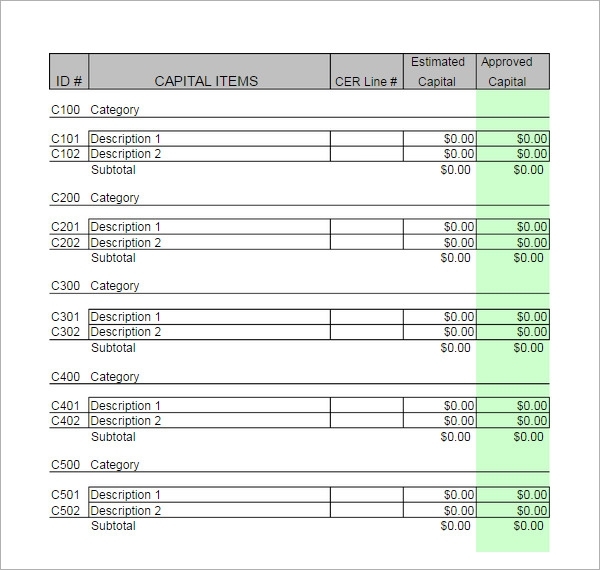 You can also see Cash Budget Templates. What are the benefits of Business Budget Templates? 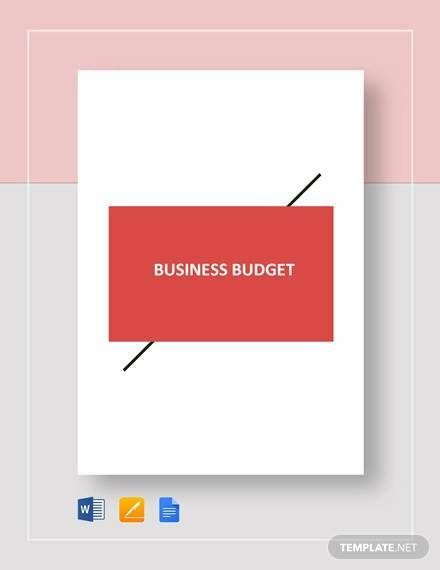 Business Budget templates are tracts of Budget related figure in which business enterprises store the actual figures of income and expenditure. A track over budget is necessary not just for managerial purpose but also for legal purposes. A firm is bound to keep a record of its revenue utilization. 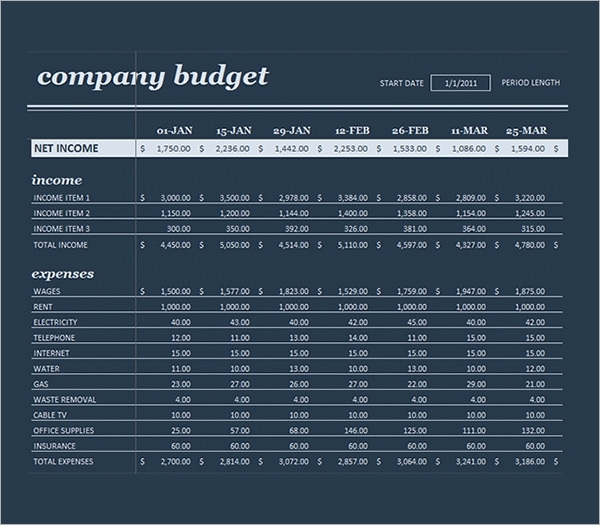 You may also like Chruch Budget Templates. It outlines the company’s future: A budget produces future capital for other business ventures. The goal of most budgets is to minimize the expenses and create reserves that are added to the savings accounts. It shows expectations: A budget gives the expenses the business may incur. The budget also shows the profit margin the company should expect. This makes the directors formulate tactics to increase that profit margin. It minimizes future expenses: It is always important to keep in mind that the company is able to minimize future expenses based on the current budget. These templates represent the figures in a clean and clear way. When the data is visually pleasant, the information represented in it also becomes easy to comprehend.